Trapping commenced on the morning of 27 September, and so far we have trapped and relocated 21 great crested newts, 26 smooth newts and 15 toads. We have been deploying a number of methods for the trapping, including pitfall traps (the buckets dug into the ground flush with all the low fences you can see across the site), Dewsbury traps and netting (used in the water tank within the site compound), searches under carpet tiles and night searches under torchlight. We are also pleased to have found a sub-adult grass snake that was safely moved to the receptor ponds. Fencing being installed within the site compound. The thinner transparent fence will be removed after the translocation works. 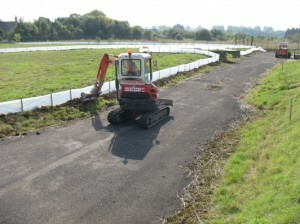 Fencing being installed outside the site compound. 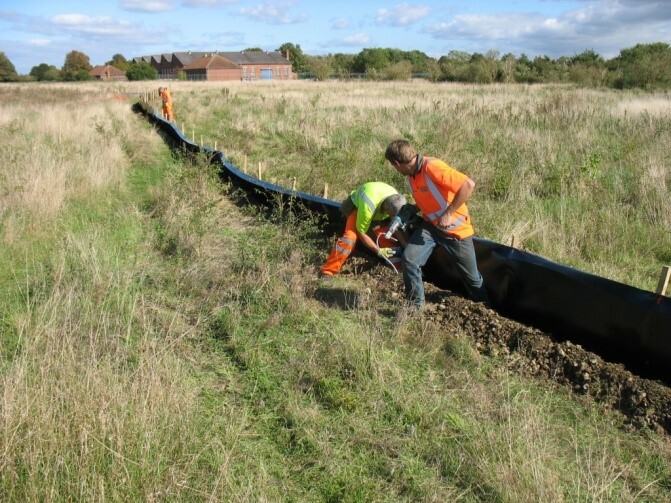 The black perimeter fence will remain in place for the duration of the construction and encompasses the area for the SUDS ponds to the south of the site. 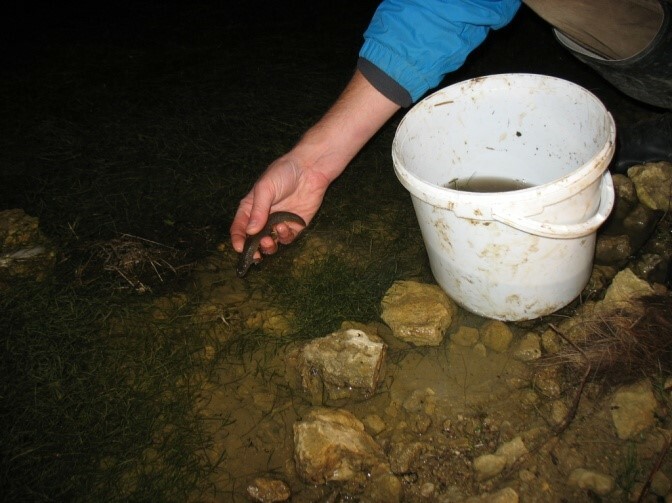 Great crested newt (male) being released by the pond after discovery during the torch searches. 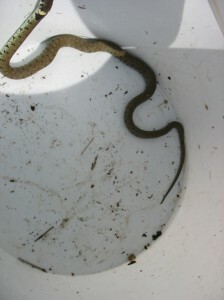 Sub-adult grass snake (approx 70 cm long) found under rubble during the fence installation.